The New York Times just published an article which detailed how low-level drug smugglers from South and Central America are being held on Coast Guard ships for months at a time under appalling conditions. There is the usual righteous outrage that we could do such horrible things to people but I’d like to focus on the damage it is doing to the young volunteers who serve and protect our country. What is happening is relatively simple. 1986 a law was passed in the endless and useless War on Drugs called the Maritime Drug Law Enforcement Act. 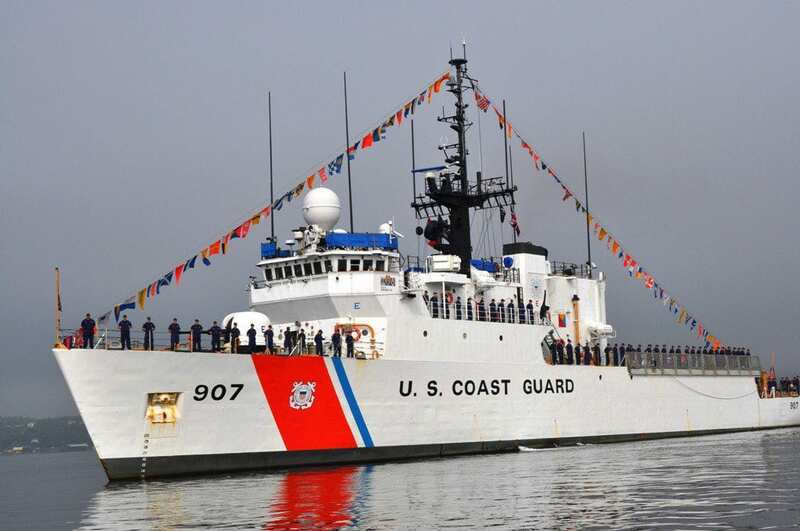 It empowered the Coast Guard to search and seize drugs from any ship in International Waters, even if there was no evidence the drugs were intended for sale in the United States. A small amount of arrests were made on a yearly basis after that but everything changed in 2012 when it was decided to use this law to seize and arrest on a large scale. These arrests are taking place far from the United States and there is no inexpensive way to bring the suspects to trial. Therefore, the prisoners are kept aboard Coast Guard ships for months at a time. The Coast Guard ships have no facilities so the prisoners are kept chained to the deck and fed at a barely subsistence level. The fellow in charge of all this was General John Kelly, now White House Chief of Staff. He strongly believes we need to expand the War on Drugs. The men and women who serve aboard those Coast Guard vessels are largely idealistic and want to make the nation a safer and better place. What we are doing is wrecking them. No human can participate in chaining other humans to a deck for months at a time while feeding them little food and come away unscathed. What Kelly is doing is failing to make the United States a safer place and is destroying the moral and ethical compass of an entire generation, our people. This is the natural extension of the horrors that occurred at Abu Ghraib and lays at the feet of Kelly. Kelly and his allies argue the prisoners are not being mistreated and the law is being followed but they completely forget the women and men who are carrying out their vile orders. These people, the best and brightest our nation has to offer, are learning we can and should treat others like animals. This is not a lesson easily unlearned. I can only imagine the nightmares being forced to do something like this would cause me and I’m a grown man. Hundreds and perhaps thousands of our young Coast Guard volunteers are being ordered to participate in what can only be called immoral actions. They are being told by their superiors, supposedly morally sound officers, to engage in these actions, to watch as men are tortured. In these circumstances the vile among us rise while those who are good and decent must hide, quit, or simply go along because they see no other choice. What horror. 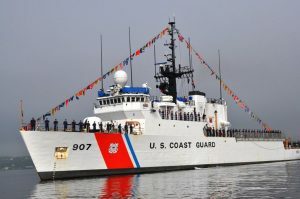 The long-term effect of these actions on the Coast Guard as a whole, on the men and women who issue the commands, and those tasked with carrying them out are incalculable. The people who are being forced to do these things will go on with their lives, they might join other branches of the military, they might become law enforcement officers, they might take roles in our government. They are forever damaged and will carry on with the lessons they are learning. That is a danger to us all. Shame on you, Kelly and all the others involved in this ruination of the young men and women of the Coast Guard. Shame. Why did General Grigsby Get Demoted for Having an Affair? 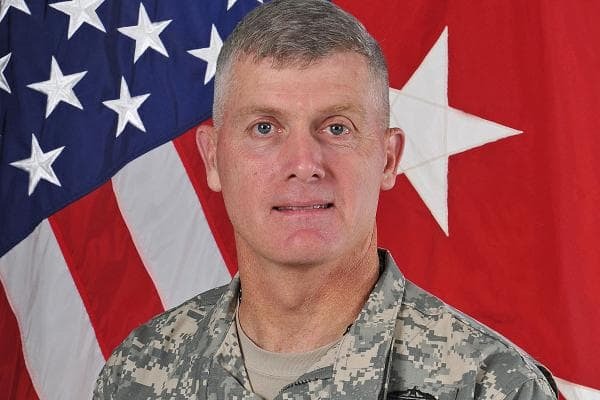 General Wayne W. Grigsby Jr. was demoted from Major General to Brigadier General for having an affair with another officer. He is the sixth such general in the last year to be demoted for such activity. Why? What about marriage infidelity would cause him to do his job less effectively? Why should anyone be demoted from their position? I think it’s an interesting question. Don’t get me wrong, I think the army, or any employer, has the right to discipline their employees as they see fit as long as it doesn’t run afoul of the Constitution of the United States. However, I think it’s important to keep people who are good at their jobs in their positions even if they have human failings. We all have human failings. We all lie. We all make mistakes. 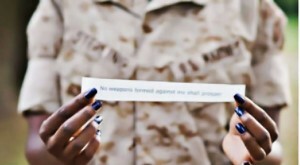 In the military, there are potentially lives at stake. If Grigsby Jr. is an outstanding officer in every way, demoting him is detrimental to the military. It’s also entirely possible Grigsby Jr.’s wife was perfectly happy for him to have affairs. It wouldn’t be the first marriage where such things were tolerated. It’s a well-known fact one of the finest generals in the history of the United States, Dwight Eisenhower, carried on a long-term affair with his secretary. Would the country have been served by firing or demoting Eisenhower? To be fair, it’s certainly likely having an affair can cause real issues in a command. It’s entirely possible there was good reason to demote Grigsby Jr. Certainly the circumstances of this case seem to indicate the demotion might well have been justified. That his behavior was negatively affecting his ability to command. I’m just worried by the fact so many officers are getting removed from their position for this personal issue. I guess what I’m saying is that I’d be more comfortable if the military stopped using having an affair as the excuse to demote officers. Let’s judge people by the job they are doing. If the officer has lost control of his command, demote her or him for that reason. If the affair is having a detrimental effect on the other soldiers, demote for that reason. What concerns me more is that I consider it undeniable the military is quite aware other officers are having affairs and is not doing anything about it. This smacks of cronyism. The officers in good standing are allowed to have their affairs while those who fall out of favor are subject to a strict interpretation of the rule. Even if this isn’t happening, even if the military only moves to make changes when the affair becomes detrimental to the command of the unit; there is the appearance of impropriety. When the military first demoted Grigsby Jr. they cited lack of confidence in his ability to control his command. Good enough for me. Why elaborate? Why have specific examples of behavior that will result in potential issues? Because then you have to be consistent. If you punish one officer for doing something, you must punish all who behave that way. At least if you want to be consistent. The question should simply be if the officer doing a good job. When things go wrong in the private sector we have lawsuits available to redress the problem. When things go wrong in government, not so much. I’d like to take a moment to compare the Fyre Festival and the F35 Lighting II. First the Fyre Festival. A couple of fellows named Ja Rule and Billy McFarland came up with an idea to have a music festival on an island in the Bahamas. The plan involved popular music artists and supermodels, ticket prices were extremely high. Everything went wrong. Many people might say that the entire plan was a mistake but I’d disagree. One of the reason things went so badly is the number of people who paid to attend were far greater than the venue could accommodate. That clearly means people were quite interested in going to the festival. A similar thing happened with the F35. It’s easy to say let’s build a single jet that does everything three other jets can do. We’ll save tons of money by having one plane with interchangeable parts. It seems like a good idea. After the good plan is arrived upon, it is vital to hire pragmatic people who understand the details necessary to complete the project. People who understand the practicalities of organizing a complex festival or a technically challenging weapon’s platform. That’s the problem with dreamers. They stop their ruminations seconds after telling everyone what a great idea it is. And it might well be a great idea, but without a plan and realistic implementation therein, it cannot come to fruition. What happened with the Fyre Festival and the F35 is no one was willing or able to do the necessary hard work to pull either off in a timely fashion. There are two important differences. The first is the festival could actually fail whereas the F35 was going to continue on no matter how far delayed and how much money it cost. The second is there is redress for those who suffered or lost money at the festival. For the taxpayers, there is no redress. Our money is gone. It is spent. There is no way to sue and get it back. All the warning signs were there for both the event and the plane. The venue was horribly inadequate and it was apparently suggested to the organizers the festival simply be cancelled until next year. They chose to go on with it and now must suffer the consequences of the disaster. That’s a good thing, that’s what happens in the business world. The technology to create the F35 really just didn’t exist and no one had ever done anything like it before. It relied on inventing technological solutions where none existed. It became clear fairly early on the three versions would not be nearly as interchangeable as hoped, the entire purpose of building the single plane. Costs skyrocketed as the plane’s deployment became delayed by years. Congress decided to go on with the project despite these problems. This contrast of the private sector and government is stark. When someone shoots for the moon and ends up falling short, there must be consequences. Instead, we are the ones punished by being forced to foot the bill for their folly. I don’t know about you, but I’m getting awfully tired of politicians spewing out wild dreams and foregoing all practical planning. When things go awry, they just throw more money at the problem. Wouldn’t it be nice if we could file lawsuits against our politicians when projects they mismanage go hugely overbudget and even fail entirely? It seems like a nonsensical idea but we live in a nation where we get to elect our representatives. We can do whatever we want if we just vote for like-minded people.